J O'Grady Reclaim is a one stop shop for all things 'reclaim' on the Wirral & Cheshire. The J O'Grady architectural reclamation yard has an extensive choice of items in a wide range of materials. 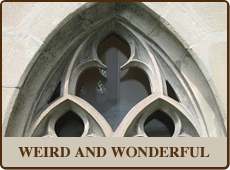 Owned and run by Jon for over 25 years, he has a passion for rescuing materials as diverse as stone troughs, to church windows and fireplaces, to wrought-iron railings. Big enough to cope and small enough to care is not just a motto for J O'Grady but a genuine belief in providing the very best service and materials on the Wirral. Massive stocks of sandstone, granite setts, reclaimed roofing tiles, weird and wonderful items set this reclaim yard apart from the competition. 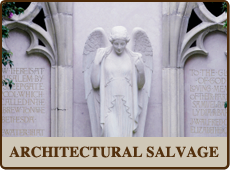 J O'Grady Reclaim are also manufacturers and suppliers of all types of architectural stonemasonry including (but not restricted to); gateposts, heads and cills, pier caps and coping stones. 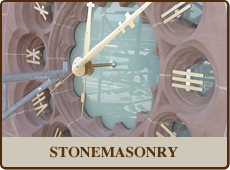 Having a 'Master Stone Mason' on board with over 30 years experience in stonemasonry, allows J O'Grady Reclaim to apply both traditional and modern methods to various types of stone. J O'Grady reclaim and salvage a large variety of architectural materials from sandstone walling and yorkstone paving, to religious artifacts and pier caps. The range of items at the Wirral based reclamation yard has to be seen to be believed. Are you looking for reclaimed roofing materials including; roof tiles, plain tiles, ridge tiles or roofing slates and hips? 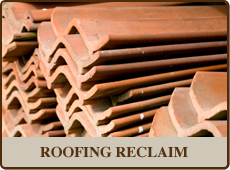 J O'Grady have a huge stock of reclaimed roofing items, particularly hard to find, archaic roofing tiles. Another aspect that sets our reclamation yard apart are the weird and wonderful items that have been collated over the years. If you are looking for something a little different for your home or garden, there is no better source than J O'Grady. From 3 tonne anchors, stone baths and oak barrels, to ship lamps and stone follies, you will find something to set your home apart.